The silent assassin! 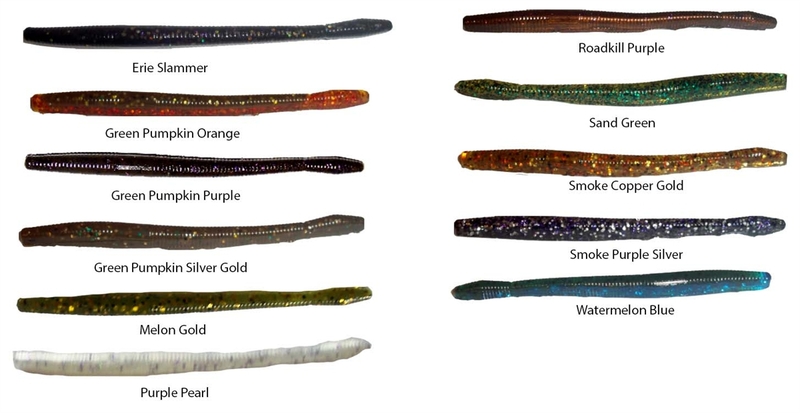 One of the most durable and soft worms on the market, this finesse worm is absolutely lethal weightless or on the back of a Shakey Head. Phenomenal for finicky fish, high-pressure scenarios, and quick limits. Fish LOVE the 4.5" Finesse Worm! Theses are some of my favorite baits to drop shot with. They have great action and hold up to multiple fish. Melon gold seems to be a good color for many Michigan lakes, including Lake St. Clair. If your a finesse fisherman, you should definately try this bait. When the fronts move in and the fishing get's tough, this bait is something you will want to have on stand by. I like using this bait nose hooked.